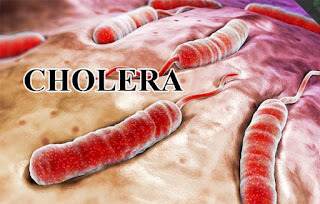 Lagos – The United Nations, through the Nigeria Humanitarian Fund, has allocated US$2 million (720,000,000) to support the response to a deadly cholera outbreak in Yobe State, north-east Nigeria, that could affect thousands of people. A total of 404 cases and 15 deaths have been reported, representing a 3.7 per cent case fatality rate since the beginning of the outbreak, which was officially declared in four local government areas on 28 March. The United Nations and its partners activated an immediate emergency response in the affected communities in support of the State Ministry of Health. However, additional resources are needed to ensure that the outbreak is contained, especially ahead of the rainy season when the risk of outbreaks and spreading of water-borne diseases is higher. According to the press statement by the United Nation, the funds will enable humanitarian partners to provide safe water to over 1.6 million people, improve sanitation for thousands in the affected communities, and boost the technical and human resource capacity in hotspot areas so that cholera can be detected early and treated promptly. Raising awareness of how to identify, prevent and treat cholera is also a key part of the response to the outbreak. “Cholera outbreaks can potentially impact and kill thousands of people, especially women, children and men who are living in overcrowded places such as camps for internally displaced persons. “Surveillance and early detection are key to limiting the number of fatalities and the spread of the outbreak,” said the UN Humanitarian Coordinator Mr Edward Kallon. These funds will help the UN and partners strengthen the capacity of community health personnel and equip local health facilities with diagnostic and treatment equipment as the rainy season gets underway and access to some of the affected localities might be impacted by flooding,” he added. The humanitarian crisis in Nigeria’s north-east, that has spilled over into the Lake Chad region, is one of the most severe in the world today, with 7.7 million people in need of humanitarian assistance in 2018 in the worst-affected states of Borno, Adamawa and Yobe, and 6.1 million targeted for humanitarian assistance. The Nigeria Humanitarian Fund (NHF), managed by the Office for the Coordination of Humanitarian Affairs under the leadership of the UN Humanitarian Coordinator in Nigeria, was created to provide funds in a prioritised, flexible and timely manner so those who are most in need of life-saving support. The NHF is one of 18 country-based pooled funds and was launched during the Oslo Humanitarian Conference for Nigeria and the Lake Chad region in February 2017. To date, the NHF has raised $49.4 million in contributions and pledges, thanks to the generous support of Sweden, Germany, the Netherlands, Denmark, Belgium, Norway, Ireland, Switzerland, the Republic of Korea, Canada, Spain, Iceland, Luxembourg, the Arab Gulf Program for Development, Malta, Azerbaijan and Sri Lanka. Of those $49.4 million, $35 million – including this latest $2 million allocation — have now been allocated to various organisations in support of the humanitarian response in north-east Nigeria.